Say Hello to your TYREPOWER pro! Peninsula Motors Ltd . TYREPOWER – advice you can trust for service and the right price!. 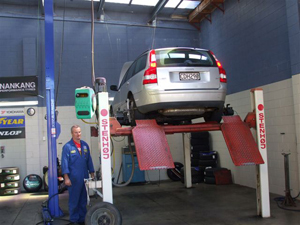 TYREPOWER is the largest independent retailer of tyres in New Zealand. Our customers get the benefit of a wider product range, better value for money and truly independent advice. Plus at TYREPOWER “the man who owns the store runs the store” so you can be sure that your local TYREPOWER team at Peninsula Motors Ltd will do the best to look after you and your tyre needs. We stock only the best…….Pirelli, Goodyear, Dunlop, Nankang, Yokohama, Maxxis Tyres – Plus we have access to all the other brands!